Are you looking to take down Palm trees in your property? Tree Felling Johannesburg offer highly skilled and experienced tree felling technicians who will safely take care of any sized tree no matter how close it may be too sensitive areas. Our services are charged at competitive rates that will have you saving a lot of money for a long time. Tree Felling Johannesburg offers professional tree cutters for all types of trees. Generally, Tree Felling is known to be a very dangerous job especially when you have Palm trees which are nearby cars, fragile objects such as glass structures and people. These jobs require experienced people which have been in the field for many years and have gained the skills needed to safely get rid of old unwanted trees. Tree Stump Grinding and Pruning Johannesburg. At Tree Felling Johannesburg our tree technicians are made of some of the bravest people who are not afraid of getting high and dirty. Every project includes a supervisor who will oversee that everything is going as planned and reduces the risks of something going wrong. At Tree Felling Johannesburg also offers custom tree felling and garden services designed to ensure that every area of your garden is in good condition. Tree Felling Johannesburg offers affordable tree felling to ensure the safety of your home and business! 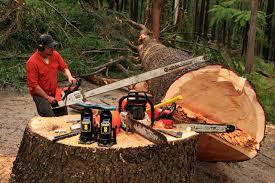 At Tree Felling Johannesburg provides customers in and around Johannesburg with affordable tree felling services. We believe that is does not have to be expensive to take care of your trees and maintaining your garden. Tree Felling Johannesburg makes your garden the best pplace to be in. Our custom tree felling is of the most in demand services because it can be designed with your budget in mind. Customers can choose to focus on what is important to them and we will make sure that it is done through your budget. Tree Fellers Johannesburg will provide you with professional tree fellers who will guarantee to have your tree under control within the same day. At Tree Felling Johannesburg we specialize in quality workmanship and affordable Tree Felling services that are served by some of the most experienced tree technicians. Give us a call today for a free estimation on all your tree felling needs.